United States – The second informal thematic session entitled Addressing Drivers of Migration, including Adverse Effects of Climate Change, Natural Disasters and Human-made Crisis, through Protection and Assistance, Sustainable Development, Poverty Eradication, Conflict Prevention and Resolution took place on 22-23 May 2017 at United Nations Headquarters in New York. It was the second in a series of six informal thematic consultations that will take place this year, feeding into the consultation phase of the Global Compact on Migration, the first intergovernmentally negotiated UN agreement to cover all dimensions of international migration in a holistic and comprehensive manner. Other panels focused on human-made crises as drivers of migration and adverse effects of climate change and natural disasters as drivers of migration. IOM co-organized a side event with the Together Campaign to interview consultation participants from Member States and civil society on the importance of diversity and combating xenophobia. 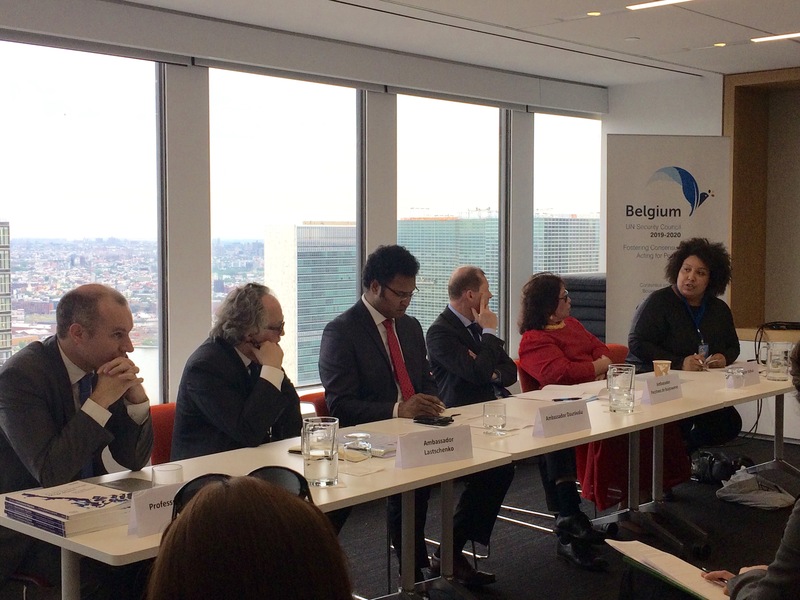 IOM also took part in a side event hosted by the Mission of Belgium, Resilience to Climate Change: Small Islands, Migration and Adaptation. IOM continues to support the intergovernmental process as it evolves, particularly in extending to Member States - together with the Office of the SRSG - the required technical and policy expertise. Encouraged by the inclusive nature of this process, IOM has designated Colin Rajah as its civil society liaison focal point to help facilitate the participation of civil society leaders during consultations for the Global Compact on Migration taking place around the world this year. The third thematic consultation will take place during 19-20 June in Geneva on international cooperation and governance of migration.